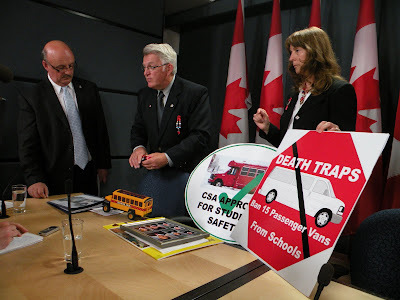 (Bathurst, NB - June 7, 2010) - A British Columbia based union activist and safety advocate who lobbied successfuly for the banning of 15 passenger vans in Cowichan, BC will be in Bathurst on June 15 to deliver a presentation on safe transportation for students. Bryan Murphy is a mechanic, school bus driver and Treasurer of CUPE 606 (Nanaimo) who speaks frequently in the national media on the issue of student transportation safety. He will give a free public presentation called "Safe Transportation for Students" at 6:30 pm, Tuesday, June 15 at the Royal Canadian Legion, 575 St. Peter Ave., Bathurst. 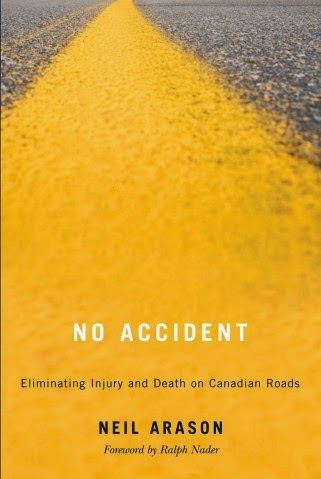 Mr. Murphy was a consultant to the BC Coroners Inquest into the 2007 deaths of three farm workers who were killed when the driver of their overloaded 15 passenger van lost control of the vehicle and hit a highway divider. 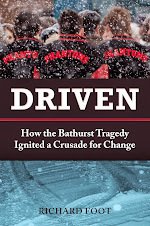 In New Brunswick, a Coroners Inquest into the 2008 deaths of seven members of the Bathurst High school Phantoms Basketball team and the coach's wife called for the banning of 15 passenger vans for use in transporting students across Canada. Two weeks ago, on May 27, Mr. Murphy appeared alongside Isabelle Hains of Bathurst, Delalene Harris Foran (President, CUPE 1253) of Miramichi, and Yvon Godin, Member of Parliament for Acadie Bathurst at a National Press Theatre press conference in Ottawa announcing the introduction of Bill C-522, "The Boys in Red Bill". The bill would prohibit the use of 15 passenger vans for transporting students in Canada. As recently as last week Mr. Murphy provided his expert opinion to the Federal Minister of Transport, John Baird, on the banning of these vehicles. 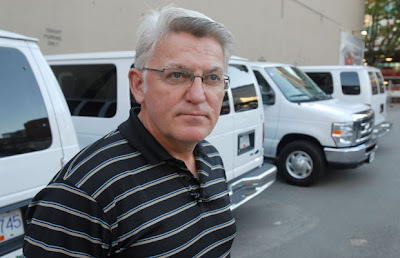 A 2009 Canwest News Service investigation called "Precious Cargo" found that more than half of the school districts in B.C., and many others across Canada, use the vans to transport children to extracurricular events (Click here to read report "Precious Cargo" by investigative journalist Richard Foot http://www.canada.com/news/precious-cargo/index.html ). 15 passenger vans were originally designed as cargo vehicles and they lack the passenger protections, such as reinforced steel frames and laminated side windows, common on many other vehicles, particularly school buses. The Canwest report found that 15 passenger vans also have a high centre of gravity and are more prone to rollovers than any other vehicle on the road, according to the U.S. National Highway Traffic Safety Administration. In recent years NHTSA has issued numerous safety warnings about the vans, which are now banned for the transport of children in 43 U.S. states. The U.S. government also prohibits the sale of the vans to schools and daycares.